Elsevier’s new Transition to Practice platform supports newly licensed nurses to improve confidence and engagement while consequently increasing retention rates. 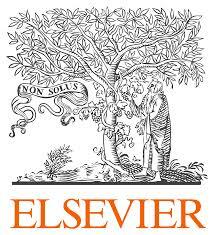 Elsevier, the information analytics business specializing in science and health, announced today the addition of the Transition to Practice platform to its complete nursing education offerings, spanning the nursing career continuum – from the critical transition of a newly graduated nurse from academia to practice through orientation and career advancement. Transition to Practice is built to complement a healthcare organization’s residency or orientation program or to be a standalone transitional program. This new platform is highly immersive, providing a safe environment for novice nurses to practice on virtual patients without negative repercussions, honing critical thinking, prioritization, delegation and other professional skills. The assessment of each new nurse allows for a personalized learning experience, while accelerating professional ability. In addition, the platform focuses on ways to improve the core support team’s ability to monitor a new nurse’s feelings of confidence and support. Learning and performance data is combined to provide actionable insights which can then be used to detect at-risk new nurse graduates by tracking changes in nurse’s outcomes, improving communication, and identifying the root cause. Hospitals struggle to retain newly licensed nurses, seeing an average turnover rate of up to 35%1 and an average cost of $70,000 to onboard each nurse2. Transitioning from school to the clinical setting is a real challenge as new nurses often struggle with gaps in professional skills. Providing a comprehensive onboarding experience can reduce new nurse graduate’s anxiety levels and increase satisfaction and engagement. Transition to Practice complements the existing portfolio which contains the highest quality evidence for best practices in nursing. The Clinical eLearning courses are developed in association with exclusive partnerships and clinical experts. As a new nurse begins their professional career or an experienced nurse transitions to a different specialty, it’s important to ensure knowledge and skills are reflective of best practices and current evidence. Mosby’s Medical-Surgical Nursing Orientation and ENA: Emergency Nursing Orientation 3.0 are just two examples of the didactic courses offered to help nurses during orientation, while building and refining their clinical judgement and critical thinking skills. These courses promote consistent care across a healthcare organization and consequently decrease the demand on hospital resources. Support for nurses doesn’t end at orientation. There are a variety of new role transition courses available to nurses advancing their career, such as Mosby’s Preceptor. Providing authoritative, evidence-based education and engaging support helps to improve satisfaction and retention, standardize care throughout the organization, and improve patient outcomes. Elsevier is focused on all stages of the nurse’s journey and is leading the way with immersive, personalized education for clinicians from the new nurse graduate to advanced nurses practicing at the top of their license. For more information, please go to elsevier.com/transition-to-practice. 1. Windey, M., Lawrence, C., Guthrie, K., Weeks, D., Sullo, E., & Chapa,D. (2015). A systematic review on interventions supporting preceptor development. Journal for Nurses in Professional Development, 31(6), 312-323. 2. Goss, C., (2015). Systematic review building a preceptor support system. Journal forNurses in Professional Development,31(1), 7-14.